As seen on Britains Got Talent! DAKOTA are Andy Walker and Elaine Suzy Withers, two musicians with considerable experience based in Ayrshire, Scotland formed in 2003. 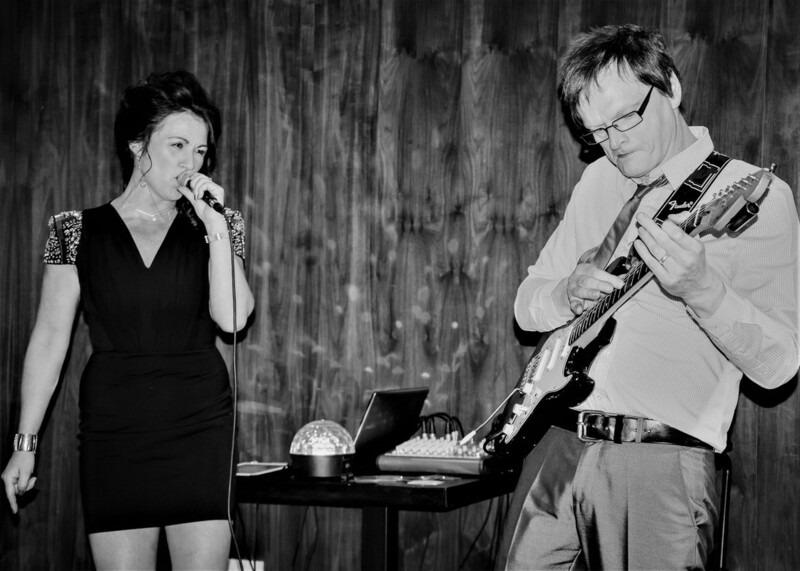 Dakota are a two piece covers band available to play at your wedding, party, club or corporate event. 'Dakota' play live guitars, saxophone and percussion, have excellent male/female vocals/harmonies and sequence all their own backing tracks in The Attic Studios therefore the sound quality is top notch (no bought backing tracks)! The band play a variety of cover songs to suit every audience. With 30 years experience between them, they know a lot of songs and keep up to date learning new current chart hits regularly. They have their own self contained PA and lighting system, are extremely organised, efficient and reliable and can also DJ at the break if required. Dakota also write, produce and perform all over the UK and abroad. Together they have written and recorded various original tracks from ballads, to rock, to dance music. Andy has had album releases with 'Skyline' and 'New Leaf' and has recently released his solo album Tobias Mink on Bendi Records. Elaine writes and performs toplines for mainly house music tracks with works being signed to Ministry of Sound, Hed Kandi, to name but a few. Her album with Colin Sales 'Our House' was released on CSD Recordings and she was also a live semi-finalist on Britains Got Talent 2014 as female vocalist with Peat Loaf! Hall, Dumfries and many many more! Please listen to Dakota DEMOS or even better send a message or call with your enquiry and arrange to come along and hear them live. You will not be disappointed!